There are not that many EAL TeachMeets happening in the UK, so when this one came up, I decided to take a trip from Kingston-upon-Hull, where I live, all the way to Scotland to attend this one. The TeachMeet was held in the Shawlands area of Glasgow, south of the River Clyde, at Shawlands Academy. There was a lovely feeling there and lots of lovely people there, all clearly completely dedicated to EAL – the TeachMeet was held on October 4, 2014, which was a Saturday, so one needs some dedication there to attend an event on a Saturday! One of the reasons I’ve decided to go all the way up there was that I feel very strongly about collaboration of teachers – and it feels that there is not enough collaboration between the different nations that make up the UK and can all learn from each other; it doesn’t happen often enough! The event followed the more or less usual routine that TeachMeets usually take: with many short presentations peppering the event. Rosaline, with the Glasgow EAL Service, was the first to present. She was talking about the Gold Medal Programme which a few of the Glasgow schools (from a nursery to an academy) have been involved in. Essentially, it focussed on getting children to play healthy games and gathering different playground games from various countries around the world. We watched a video with a few children explaining the rules of games from various countries in the world, teaching how to play them to other pupils and students in Glasgow. The Programme worked with parents, siblings and families of the children and has already created a set of wonderful resources. Rosaline brought some of these resources to the TeachMeet and displayed some of them – very impressive! Definitely an idea I had not heard of before, but so elegant and brilliant in its simplicity. The children participating in the project have been asked find out about a game from their country, give instructions, explain what equipment, if any, is required for the game, play the game and be filmed demonstrating/explaining the game. Have a look at the presentation below, same that Rosaline presented to us on the day and used with her permission – there are scans of some materials / instructions created by the children. What a truly magical idea! I was entirely sold on the idea – it certainly is as inclusive as it gets! The next presentation was from Claire, who spoke of The European Day of Languages (EDL) and how it was celebrated in Glasgow. The EDL aims to promote the importance of languages in countries across Europe. Has your school celebrated this day before? It’s not difficult at all to find out within seconds using Google that the UK is not exactly at the top in Europe for learning languages. This EC study reports on how weak it is in England, for instance: it has found that 30% of pupils studying languages in English schools do not reach the level of a basic user in the first foreign language they study. Apparently, also barely 6% of 14-15 year olds studying German become its independent users! This Telegraph article calls English teenagers worst in Europe at languages! So I’d say it’s rather important! Initiatives such as the EDL in Glasgow are important to break the “vicious circle of monolingualism” as referred to in the Telegraph article. Claire said during the school projects, they would start with a song, display posters reflecting different European languages, provide children with a school assembly – where participants would be speaking in different languages – even with The Lion King being played in different languages. Resources for staff were provided as well. Whilst we’re on the subject, I hope you are aware of the fabulous Language of the Month website from Newbury Park Primary School – with massive amount of resources (including audio and video) free to download and use to promote different languages at your school. Why not make one of your EAL children experts and teachers of their language to their English speaking peers? Maureen delivered the next presentation. 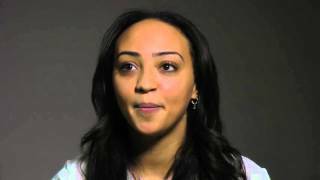 She works for the EAL Response Team in the Early Years provision. I love finding out about what they do – largely because I have close to no idea what the realities of EY actually looks like! She shared with us some of the resources and activities that they engage the children in, for instance Hell Around the Nursery – teaching children hello in different languages, providing them with a sheet with names of the children and different languages on them. They even sing “Hello” in different languages (quite possibly really cute!) – and persevering with children might initially feel being put on the spot. Alison spoke next. (There might have been the coffee break somewhere here, but I can’t recall when that was now!). Alison made it all the way from the Highland! I sure hope you have come across the fabulous www.ealhighland.org.uk website – super amount of terrific resources there! She works with nurseries in her area. She told us about the programme she is involved with called Teddy Talk. It is a structured language development programme in nursery schools. It has been adapted from the CHAT (Communication , Help and Awareness Team) programme provided before by Speech and Language Services in Scotland. The programme is aimed at pupils in the early stages of English language acquisition and is intended to get them out of their silent phase period. The Teddy Talk sessions are built around a framework that repeats and is predictable and, as such, safer. First come the rules for good sitting and listening, followed by a Hello song and greetings. Then, there are some games and a story and the 15-20 minute session closes with a farewell/goodbye song. Alison told us they had had some very good feedback and the approach does succeed in getting the children out of their silent phase – well done! Vinita took to the stage (it was really just a classroom, but let’s be grand about it!) 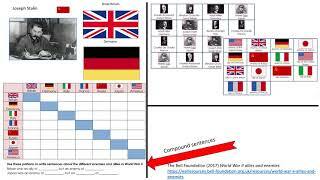 and told us about The Comprehension Box (click the link to go to a page with more information on it). The Box includes a huge amount of cards with activities designed to ease pupils’ understanding of different areas of language. Vinita said it would be most suitable for children at EAL Stages 2 and 3 (QCA-based, I take it). In other words, those who are not complete beginners, but rather those who have developed (or mostly developed) their Basic Interpersonal Communication Skills (BICS), but are still developing their Cognitive Academic Language Proficiency (CALP), or academic language to put it more simply. The cards looked really impressive and I would love to get my hands on them. They do cost £150, so a bit, but it can be a good investment as it does look really helpful, and there are a lot of cards. The activities are designed to assist with the English curriculum – so no need to fret anymore how to link your teaching to the mainstream! By “English curriculum”, I mean “curriculum in England”, so there are links to English, Maths, Geography, Science and other subjects. The cards come in different levels. There are reading tasks, multiple choice questions, opportunities for peer assessment work for the children, a pupil recording sheet, a pupil tracking sheet and a teacher tracking sheet – and (very important!) a guide for the teachers! The cards come in different levels and there are 150 of them! My presentation was, I believe, next. I spoke, as quickly as I could! given the time constraints of TeachMeets about a lesson plan framework I’ve been developing and using in my own teaching at my school for EAL students. However, there is nothing to stop any mainstream teacher from using the same in their own subjects so as to include and involve their EAL students. Essentially, it is a lesson plan template built on two principles and insights from literature and research. Bernard Mohan’s Knowledge Framework – Mohan identified 6 different knowledge structures across the curriculum. 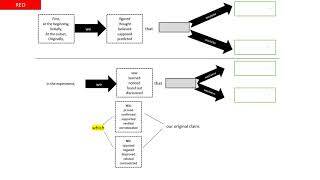 They can be considered as pairs: Classifying-Describing, Explaining-Sequencing, Evaluating-Choosing. He then linked them thinking skills required – again, across the curriculum, linked to the knowledge structures. For instance, classifying (knowledge structure) is linked to thinking skills such as grouping, sorting, categorizing, etc. These, in turn, are linked to key visuals (aka graphic organizers) and there is specific language we use to with the thinking skills and graphic organizers. All of this, Mohan described long time ago in his book Language and Content , first published in 1986: what I can’t figure out is why so many teachers have never heard of his insights before. Two weeks ago, I delivered a whole-staff training and used his framework to promote the use of graphic organizers across the schools and it sold very well! – it’s a framework and we teachers love frameworks! Mode Continuum as described by Pauline Gibbons in English Learners: Academic Literacy and Thinking (2009). Gibbons suggests that teachers show the children how language changes from non-academic (spoken-like/context-based) to academic (written-like/abstract). She suggests that we organize lessons, starting with spoken-like language and gradually move children away from the spoken-like language to the more complex academic one. That way, they can appreciate how language becomes more and more explicit as it becomes more and more academic. Please see my PowerPoint presentation used at the TeachMeet for references to Mohan’s and Gibbons’s books and more information, adapted from their books on their ideas. And please read their books: they’re both quite amazing and eye-openers. They have greatly influenced my practice. In short, I showed the lesson plan framework to the teachers at the TeachMeet, which attempts to blend the Mode Continuum and the Knowledge Framework into one: that is, incorporating knowledge structures-thinking skills-graphic organizers-associated language as its one aspect and moving from spoken-language/context-rich activities to written-like/academic language activities as its other aspect when lesson planning. I am also developing a scheme of work for new-to-English EAL beginners induction programme using these principles – including specific lesson plans and associated resources. Fingers crossed this will be ready by the end of this academic year! 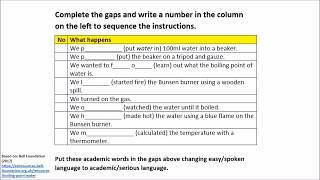 Planning this way is not easy, certainly not easy when planning for early beginners, but it does at the very least make one think about how to teach academic language and deeper thinking skills to any student you might have. And, if you are a mainstream teacher, this is definitely suitable for you. Following my talk, Nancy spoke of how diversity is celebrated at Dalmarnock Primary. They have a display with different languages (see the presentation below), with new languages and elements constantly added to it. They have also created a VIP Club (again see below for it looks like) – which displays all children’s languages and parents tend to look for their children’s languages on the display! Different languages are spoken in the assemblies and there is a Russian club after school. As you can see below as well, Dalmarnock has developed partnership with a Gambian school and a Greek school, with exchanges happening and broadening horizons of the children at the school. The last speaker was Etta, who brought to us something I hadn’t heard of before, but which really excited me. It’s called Talking Partners Programme (developed in Bradford). Please check their website to learn more about the programme. It is kind of linked to what I am already inspired by – that is, getting children to talk more: enabling them to be better speakers across the curriculum; better at independent speaking and listening. It’s a targeted 10-week long intervention. It is suggested to be used with up to 3 children at a time. The programme provides opportunities to practice and rehearse language through a number of activities. It provides children with opportunities to use and hear language in meaningful context and by doing so – develop their speaking skills. All in all, this was a rather exciting event! Plus, it felt like I made a few new friends – networking is fun! I can’t wait for another one and I am definitely thinking I will go for another visit in Glasgow if they organize another one – hopefully soon! Huge thanks for the presenters that have allowed me to embed their PowerPoint presentations in this post! Great report Kamil. You will be very welcome at our next TeachMeet. Sometime next February I think.